The cuadricula pattern has become popular in the village, but Miriham is the absolute master of this style. 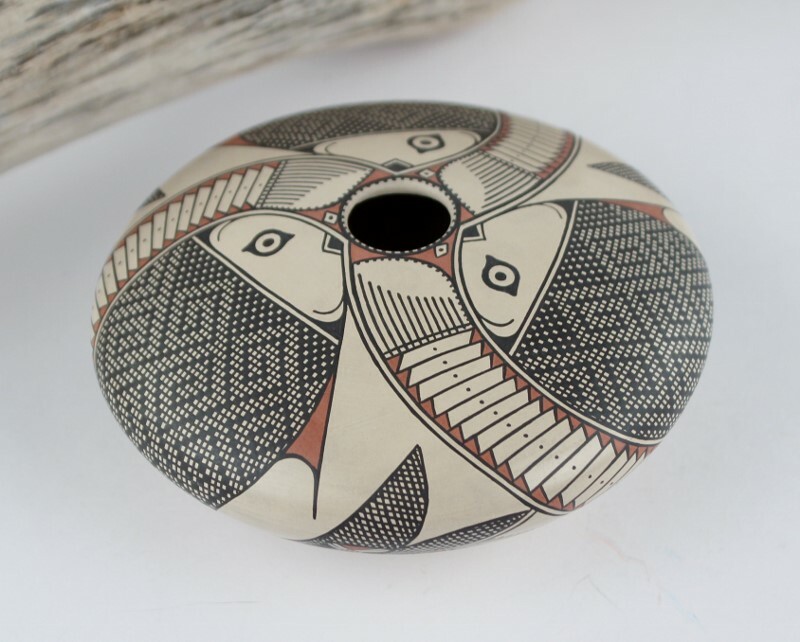 We also really like her Mimbres animal patterns, but she says that these tiny precise squares are by far the hardest to accomplish with a paint brush made of long strands of human hair, as is traditional with Mata Ortiz pottery. 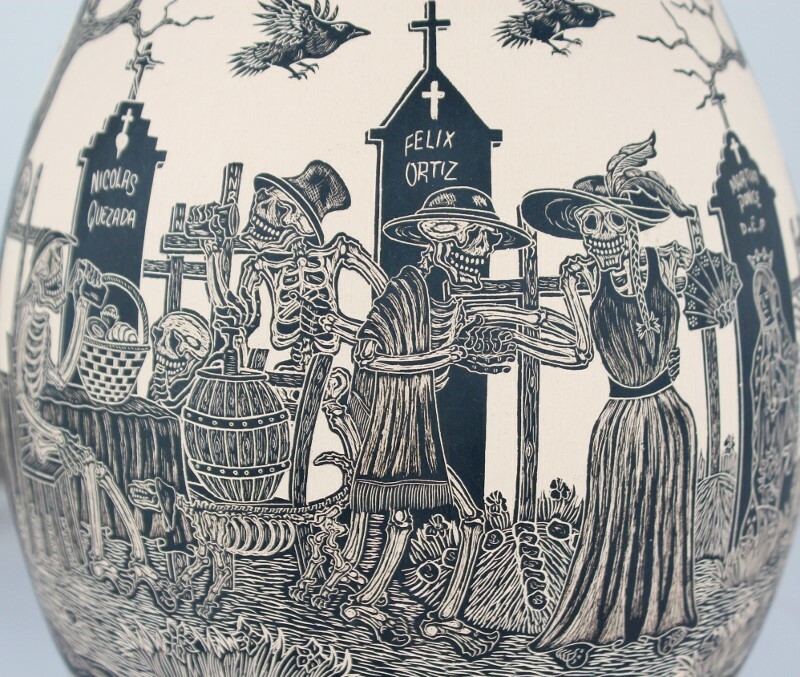 Large version of Javier Martinez's signature Day of the Dead cemetery scene that pays respect to the first generation potters who have passed away. And what better way to pay respect to those who have passed away than a gorgeous high quality Day of the Dead piece that also honors an important Mexican cultural tradition! 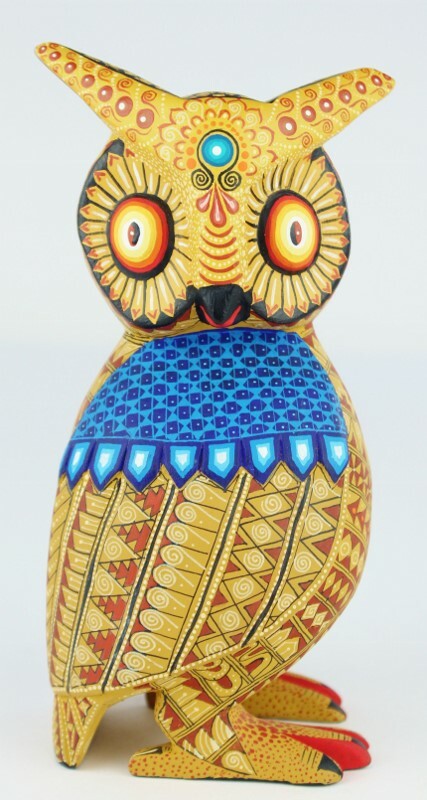 The painting on this owl is amazingly detailed and done to absolute museum quality! The design pattern is intricate and expertly painted with clean lines. I love these coiled tail iguana lizards - truly Museum Quality! 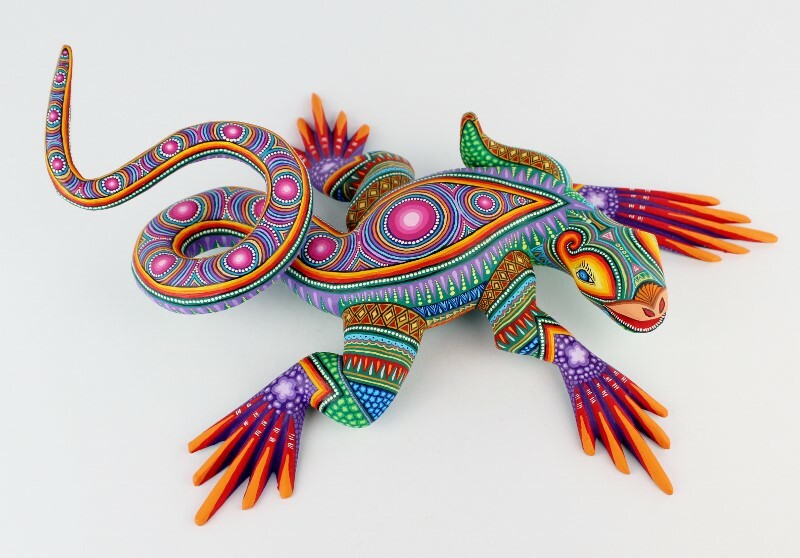 The painting technique on this iguana is stunning, and the colors used are smart and simply gorgeous! 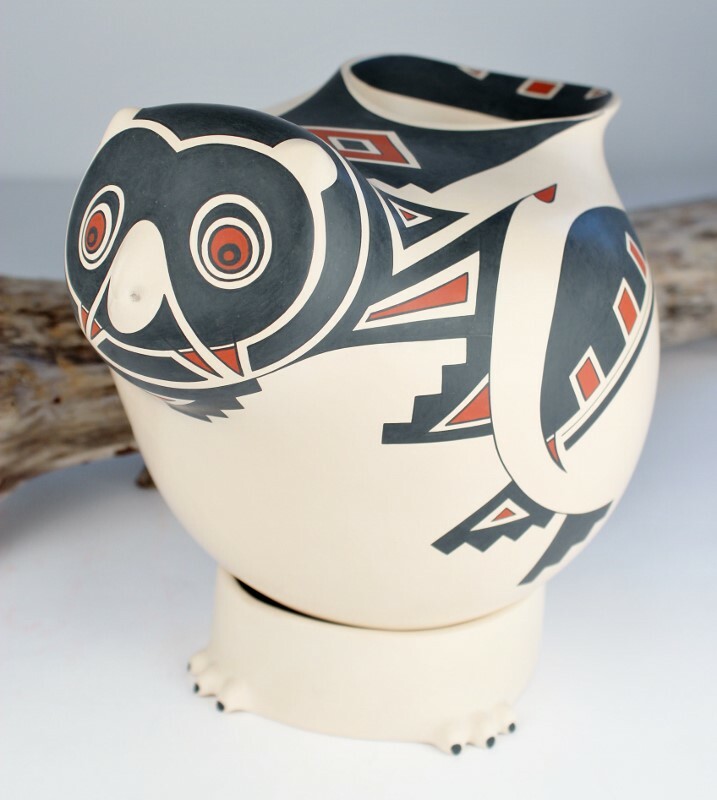 Fernando Jimon Melchor represents more than five generations of traditional ceramics from Tonala, Mexico. His work is noted for a modern flair that still adheres to the traditions of his famous family. Our mission is to bring Fine Mexican Folk Art and Hand Crafted Silver Jewelry, direct from the artisan to our customers’ doorsteps! 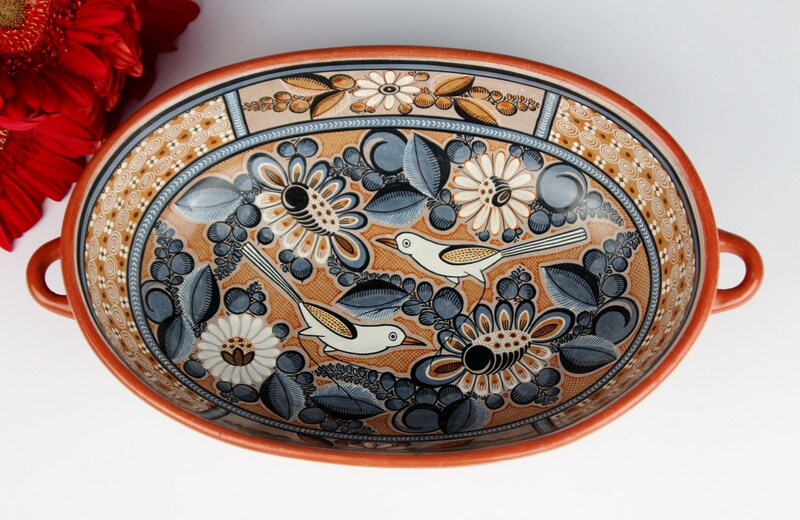 We specialize in artists from the beautiful regions of Oaxaca, Mata Ortiz and Taxco, Mexico . 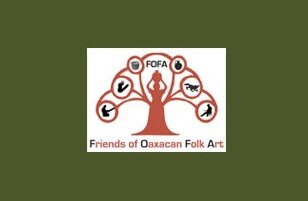 Be sure to keep an eye on our events page for information on some fantastic and educational museum events where artists are brought up from Mexico to demonstrate their incredible art forms. Adhering to the principles of Fair Trade is our passion! 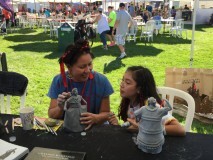 Help us be an avenue for positive change by supporting the arts and keeping these beautiful traditions alive!